3G/HD/SD synchronising up/down/cross converter with embedded audio handling and AFD functionality. Up, down or cross converting any untimed sources that demand the highest quality conversion and need a continuous stable output to keep the MPEG encoder happy, and perfect for studios that need to operate in HD and SD simultaneously - particularly those that use AFD to automatically select the aspect ratio conversion. See who's using it. Try out the Up-Down-AFDS 3G VisionWeb demo (opens in new window) – you'll see how easy it is to operate Up-Down-AFDS 3G from your web browser, while exploring the full functionality of the product. Up-Down-AFDS 3G allows flexible up, down and cross conversions between 3Gb/s, HD and SD sources, provides an output picture of exceptional quality and includes special features to allow studios to easily operate in HD and SD at the same time - with its ability to perform two different conversions simultaneously and give out co-timed dual outputs that remain unchanged in format, even if the input changes. Up-Down-AFDS 3G regularly wins evaluations on its output picture quality - with the quality so good that it has been specified by some broadcasters as their mandatory up/down/cross converter. With nine Indigo up/down/cross converters available, Up-Down-AFDS 3G is the converter to choose for applications involving AFD insertion or reading where synchronising is also required. Up-Down-AFDS 3G wins side-by-side evaluations on the quality of its up conversion. 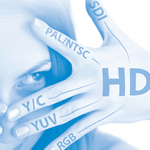 Up-Down-AFDS 3G features Crystal Vision's acclaimed proprietary down conversion, which avoids aliasing while retaining picture sharpness thanks to the sophisticated two dimensional filtering. 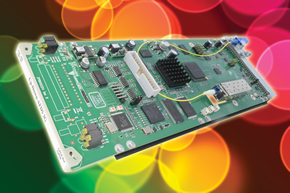 The combination of project-winning picture quality and configurable dual outputs makes Up-Down-AFDS 3G a very special up/down/cross converter. Up-Down-AFDS 3G can perform two conversions at the same time, with two separate converters on the board: one is used for the up and cross conversion, with the other used for the down conversion. Up-Down-AFDS 3G gives co-timed dual outputs, with two output groups - A and B. Each output group can be individually selected as either SD or 3G/HD, making it possible to configure both outputs as SD, both outputs as 3G/HD (720p, 1080i or 1080p), or one output as 3G/HD with the other as SD. If Outputs A and B are both selected as 3G or HD, then the outputs will be identical. One of Up-Down-AFDS 3G's particularly powerful features is that it will constantly put out HD and SD on the same pins regardless of the input, thanks to its smart routing. Once set, the output selection will remain true irrespective of any change in the input format - which means you won't need to change your wiring. 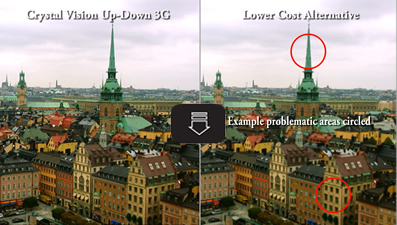 Up-Down-AFDS 3G has the ability to deal with any aspect ratio conversion requirements when up and down converting. Up-Down-AFDS 3G also ensures the picture is the right shape at all times by coping with both analogue and digital SD blanking widths - which prevents an HD signal having black lines down the side when up converting, and prevents SD signals from losing the sides of the picture when down converting. Up-Down-AFDS 3G can be used as an SD to SD aspect ratio converter if required - useful for those who need to change the aspect ratio of their Standard Definition sources and prefer to buy an up converter (rather than a dedicated ARC) as a long-term purchase. HD programmes are often made of a mixture of true High Definition sources and SD-originated sources that have been up converted, and the AFD data in the signal gives information about which areas of the screen contain a picture and which areas have black 'padding'. Up-Down-AFDS 3G includes AFD functionality. Up-Down-AFDS 3G can automatically select the appropriate output aspect ratio according to the SMPTE 2016 AFD data, Video index or WSS embedded in the input video. 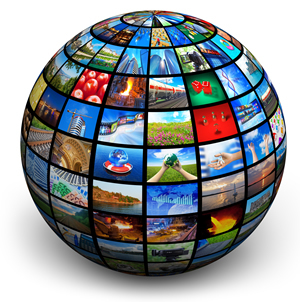 Up-Down-AFDS 3G can also be used to provide picture format information to downstream equipment, by inserting SMPTE 2016 AFD data, Video index and WSS into the video output - either manually or by following the incoming AFD. Up-Down-AFDS 3G can be used with up to four audio groups - making it ideal as your main signal path up/down/cross converter if you're working with embedded audio. Up-Down-AFDS 3G will de-embed the four groups and convert them to the appropriate format before re-embedding them. A matching audio delay of up to one frame can be added to match the video conversion and so co-time the video and audio. Up-Down-AFDS 3G provides a flexible range of video and audio delays to help match all your signals and ensure Dolby E alignment. Some of these delays are of fixed length, while others are dynamic. Up-Down-AFDS 3G has video and audio signal probe functionality making it useful for flagging up faulty signals, especially in multi-channel applications. The status indications available are input missing, reference missing, video black, video frozen, input incompatible, audio missing, audio silent and Dolby E present, with Up-Down-AFDS 3G able to provide warnings of any problems via SNMP traps. Up-Down-AFDS 3G can pass Ancillary Timecode from the input to the output and use the ATC data to get the interlace phasing correct when down converting from 1080p or 720p. If you need to up and down convert signals from beyond your local equipment bay, it's easy to give Up-Down-AFDS 3G integrated fibre connectivity - and still only use a single frame slot. 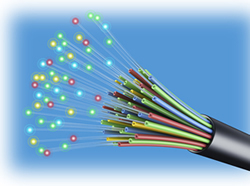 Just order either the FIP fibre input option or FOP fibre output option. Up-Down-AFDS 3G can also support a CWDM laser if required. Up-Down-AFDS 3G is a space-saving 100mm x 266mm module which is housed alongside any other Indigo product in the Indigo frames - available in 2U, 1U and desk top box sizes - and with up to 12 boards fitting in 2U. By fitting a DA6 top board which gives six reclocked feeds of the input, Up-Down-AFDS 3G beco mes a 'double decker' board and takes two frame slots, and requires an RM34 to be used with either the RM41 or RM57 to create a double height rear module. For more visual technical information, download the Up-Down-AFDS 3G block diagram.